One of the more interesting and unexpected by-products of the tech boom is how much more technically aware people have become in their media consumption. Take special effects for example. Green screen effects that would’ve wowed audiences in past generations are today easily spotted and considered cheap and clumsy. The same can be said for story-telling techniques. With the proliferation of media channels, ham-fisted clichés in scripts (such as all bombs being defused with one second left on the timer) are quickly noticed. In fact, many comedy films will spoof these tropes as a way of showing just how phony such situations are. I bring all this up because it became relevant after an ongoing conversation I had with a couple of Mormon missionaries. The young men had asked me to read 3 Nephi 11, as they found that chapter particularly moving. I went ahead and read the entire book of 3 Nephi to make certain I had the full context of the book. But in so doing, a glaring pattern emerged: over and over again, I kept reading the phrase “it came to pass.” The phrase appears fifteen times in chapter one alone! Moreover, the phrase wasn’t being used correctly. In the King James Bible, “it came to pass” was used as bridge to connect the prior narrative to the next section after some portion of time had elapsed, such as in 1 Kings 18:1 where it says “And it came to pass after many days…” In 3 Nephi, the phrase is being used sometimes for the immediate reaction of Nephi to an event that is now happening. The phrase just sticks out like a sore thumb. This made me a bit more curious, though. If you go the online version of the Book of Mormon at LDS.org, you can search for the phrase “came to pass” (in quotes) and it will show the phrase is used 1824 times in the Book of Mormon. Compare that to the King James Bible, where the phrase is used 456 times in a work that is three times as long! That’s about a 1200% increase in frequency—which makes it kind of a tell that the phrase falls more into the trope category than it does appropriate translation. Here's the problem, though. The Hebrew וַיֶּ֑ה (wayehi ) would never have occurred in the original texts of the Book of Mormon at all. The book itself claims to have been written in reformed Egyptian hieroglyphics that were altered according to the language of the Nephites at that time. (Mormon 9:32). Mormon goes on to write that “none other people knoweth our language; and because that none other people knoweth our language, therefore he hath prepared means for the interpretation thereof” (Mormon 9:34). So the standard grammar of the Hebrew wayehi doesn’t apply. It’s the translation where we are to judge. The word wayehi literally translates to “and it was.” If that was the phrase that appeared over and over in the BOM, then perhaps the above defense would have some validity. But translators are intentionally choosing to use the phrase “it came to pass” to denote a passage of time. In other words, if the translators were to translate wayehi only and exclusively into “it came to pass,” it would be bad translating. But since it was God who supposedly interpreted the reformed Egyptian language to Joseph Smith, revealing the meaning of each word to him, it would mean that God was guilty of bad translation. The missionaries I spoke with didn’t seem that bothered with the problem of the “Ye Olde Butcherede Englishe” trope appearing in the Book of Mormon. Of course, that isn’t the only historically problematic thing about the work. To me, it’s pretty clear that BYU Studies is trying to impose damage control. We can apply Ockahm’s Razor to this instance. The best explanation for the overuse of “it came to pass” is Joseph Smith wasn’t sophisticated enough to understand how that language is properly used. He relied on the “Ye Olde Butcherede Englishe” trope to try and make his audience believe what he had written should be accepted as archaic. 2. "134 - ‘It Came to Pass’ Occurrences in the Book of Mormon.” BYU Studies, The Church of Jesus Christ of Latter-Day Saints, 10 Nov. 2017, http://www.byustudies.byu.edu/charts/134-it-came-pass-occurrences-book-mormon. Accessed 2019-01-02. Mormonism boasts over 12 million adherents, and it's still growing. 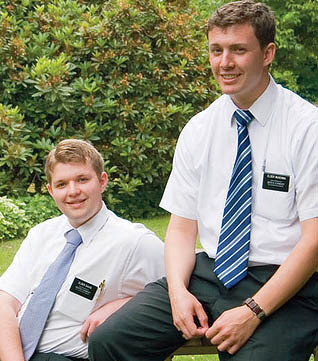 What should we say when Mormon missionaries come to our door? How are Christian beliefs different than Mormon beliefs? In this new podcast series, Lenny teaches you how to engage Mormons in fruitful discussion. View of the Salt Lake Temple from the East. In Utah, I was able to speak to several sister missionaries, some young and some old. After watching "Joseph Smith: The Prophet of the Restoration" in the Joseph Smith Memorial Building, a pair of sister missionaries and an older one asked me a few questions. I explained what I was doing there – that I had questions about the LDS faith and that I was there to find out more about the religion and discuss how it differs from Christianity. I later found out the older sister missionary got reprimanded for "debating" with us, that "debating was not what they were here to do," and that "if she continued to do this, there would be problems." But the discussion we had was highly civil, respectful and mutually enjoyed – which the sisters themselves verbally acknowledged. This was not an isolated incident, however. Most of my experience with LDS leadership has been that of discouraging questions that are not easily answered via 1) pushing any serious questions to the faith towards the LDS church’s website or 2) by asserting that I needed to test what is true by means of prayer or 3) by simply brushing me off. Obviously, these could possibly be isolated incidents, but the sheer consistency of these responses makes me think this is how the LDS faith actually responds to those sincerely trying to seek truth that have difficult questions. I appreciate that in following Christ, critical thinking, testing, and transparency is not only a righteous ideal, but a command. The whole worldview of Christianity is strong enough to withstand testing and to be put through the ringer of reason and evidence. If it really is true, shouldn’t that be the case? Would we really have anything to hide? Had the situation been in reverse, if they sought us for questions about Christianity, I can GUARANTEE we would have been there as long as possible. It has once been said that, "And you shall know the truth, and the truth shall make you free." That same person did not say truth would be known by feeling, but by reading the word of God. And it is true: in Christianity, testing important truths is not really about feeling; it’s about reading the words of God: "Then said Jesus to those Jews which believed on him, IF you continue in my word, THEN are you my disciples indeed; AND you shall know the truth, AND the truth shall make you free." John 8:31-32 (and essentially Psalm 119). If you are truly serious about telling me you have truth, then please be intellectually honest: do not discourage sincere questions or stifle the gift of rational, critical thought. This year, I took a group of students to Manti, Utah where they had the chance to talk with many people who were raised in the Church of Jesus Christ of Latter Day Saints, otherwise known as Mormons. Most of these folks didn't even understand orthodox Christian doctrine. Part of the problem is that Mormons will use Christian terms but pour different meaning into them, such as the concept of salvation. The Mormon view of salvation is attractive to many people because hell isn't necessarily an eternal punishment. Like a lot of others who are uncomfortable with the idea of "nice" people going to hell, this seems to be a more comfortable solution. However, while the idea may seem uncomfortable, part of our discomfort is in our fallen state we tend to diminish the heinousness of sin and misunderstand what holiness really is. These competing views really affect how one understands holiness. I like to use the comparison of an old laundry detergent commercial to make this point. The camera would show one sock on a table. A second sock would fall on top of it with the voice-over narrating "Your old detergent may get your whites this clean." The sock was indeed markedly cleaner and whiter. People would perhaps buy the detergent if the commercial stopped there. But the commercial then shows a third sock falling atop both. This third sock is much whiter than even the second sock, and the narrator promised that his product can produce whites this much whiter than the competing brand. So, each person is offered a choice – you may accept the atonement Jesus provided for your sin and apply his righteousness (his "whiteness' as it were) to yourself, or you may choose to rely on your own level of righteousness. Sewage doesn't clean itself up, even after an eternity. Thus, you will forever be stained and forever be separated from God by your stain. It's what we would expect from a holy God. 1. 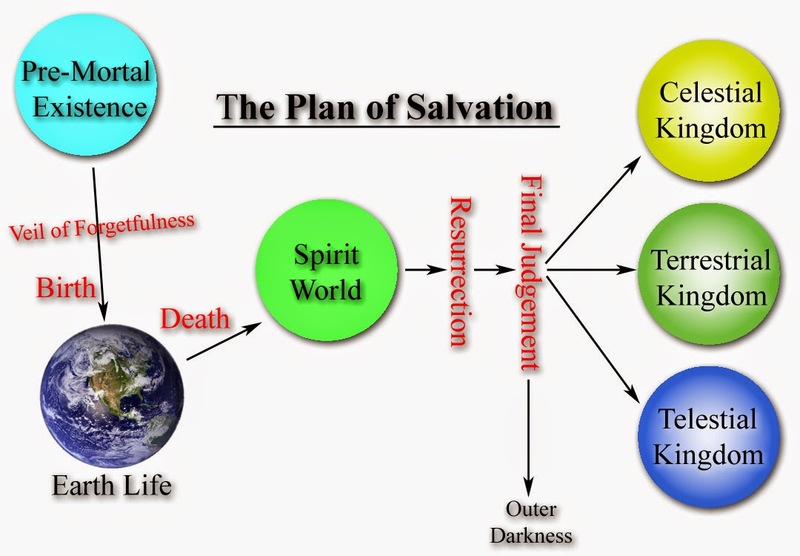 McConkie, Bruce R. "Salvation". Mormon Doctrine. Salt Lake City, UT: Bookcraft, 1966. Print. 471. 2. McConkie, "Terrestrial Kingdom", 548. The Father has promised us that through our faithfulness we shall be blessed with the fullness of his kingdom. In other words we will have the privilege of becoming like him. To become like him we must have all the powers of godhood; thus a man and his wife when glorified will have spirit children who eventually will go on an earth like this one we are on and pass through the same kind of experiences, being subject to mortal conditions, and if faithful, then they also will receive the fullness of exaltation and partake of the same blessings. There is no end to this development; it will go on forever. We will become gods and have jurisdiction over world, and these worlds will be peopled by our own offspring. We will have an endless eternity for this (Doctrines of Salvation, Vol. 2, 48). Last week, I had the opportunity to speak with a lot of Mormons during my trip to Utah. When we visited Temple Square, I spoke with a couple of Sister Missionaries who were giving us a tour of the facilities. Both sisters echoed the official Latter-day Saints claim that they were Christians even as I am. One said, "Of course we're Christians. We worship Jesus Christ just as you do. Even the name of the church is The Church of Jesus Christ of Latter-day Saints. So, we are definitely Christians." My object in going to inquire of the Lord was to know which of all the sects was right, that I might know which to join. No sooner, therefore, did I get possession of myself, so as to be able to speak, than I asked the Personages who stood above me in the light, which of all the sects was right (for at this time it had never entered into my heart that all were wrong)—and which I should join. Smith here clearly states that all the Christian denominations are "all wrong," "their creeds are an abomination," those that profess Christianity "were all corrupt," and they are denying the power of godliness. These are basically the harshest condemnations one could receive from God, and yet Mormons are steadfastly claiming "I'm a Christian, too!" If Mormons and the LDS church believe this vision is true and God really did day these things, then why on earth would they want their name associated with an apostate group whose beliefs are an abomination before the Lord? To look at it another way, imagine that I was discussing my beliefs with a group of Wiccans. Further, imagine me stating, "I know that we disagree on the nature and character of God, but because I believe that God is responsible for creation and you do too, that makes me as pagan as you. I'm a pagan Christian!" The claim is not only nonsense, it would offensive to both the Wiccans and it would be offensive to Christianity. Paganism is the opposite of what Christianity teaches, just as the Mormon view that man may become God is the opposite of Christianity's transcendent Creator. Christianity throughout its history has faced heresy and apostasy. Jesus warned his followers to ""Beware of false prophets, who come to you in sheep's clothing but inwardly are ravenous wolves" (Matt 7:15) and Paul cautions the church in Galatia that "even if we or an angel from heaven should preach to you a gospel contrary to the one we preached to you, let him be accursed" (Gal 1:8). Jesus and Paul were exclusivists; they held — and the early church codified — there are certain beliefs that identified someone as a Christian. If one rejects any of those essential beliefs, they must be excluded and considered not a Christian. While the LDS church likes to use the line "we're Christians, too," it doesn't mean it's true. Perhaps they can gain some PR or a sympathetic listen from a potential convert, but Mormonism is as far from Christianity as I am from becoming a God myself. Why they would claim such is disingenuous and insulting to both their beliefs and to mine. 1. There exist a lot of conflicting accounts about this first vision in documents written both before and after the one included in The Pearl of Great Price. This has caused many scholars to doubt that Joseph Smith repeated the story consistently. For a few of these, see Tanner, Sandra. "Evolution of the First Vision and Teaching on God in Early Mormonism" Utah Lighthouse Ministries. Web. 8 Nov 1998.http://utlm.org/onlineresources/firstvision.htm Accessed 3 July 2014. 2. Smith Jun., Joseph. "Joseph Smith—History." The Pearl of Great Price. The Church of Jesus Christ of Latter-day Saints. Web. https://www.lds.org/scriptures/pgp/js-h/1?lang=eng Accessed 3 July 2014. Missions work can be exciting and exotic. Visiting foreign lands and experiencing different cultures emphasizes some of the differences people have even though we all have much in common, like the love of family, the desire to prosper, and the need for worship. Different cultures have different worldviews. The phrase "mission opportunities" frequently triggers thoughts of faithful souls braving cultures unfamiliar with Christianity. The Joshua Project defined any nation that has less than a 2% Christian as an unreached people group.1 Nations like Afghanistan, Iran, and Somalia fit this category. You wouldn't have to go as far as Africa or the 10/40 window to find an unreached people group, though. This week I have taken a group of students to Sanpete County in Utah to witness to Mormons. Sanpete County has a population of almost 28,000 people and according to Tri-Grace ministries less than 1% of the people who live here are Christian, and Sanpete County isn't the only county in Utah where that's true.2 That means in the Unite States of America there are several large geographic areas that contain unreached people groups. My experience in talking with people this week has proven that out. All the Mormons I talk with not only don't know any Christians, they completely misunderstand Christianity. They are convinced that Jesus taught eternal marriage and that we all existed as spirit children in a pre-mortal state. They believe that Christian ministers, being paid, must be in ministry for the money. They think that the Book of Mormon is comparable with the Bible and they think that Jesus taught one must perform certain works in order to be in the presence of God. Mormons I've talked with don't say "we were married in Salt Lake"or "we were married in Manti. "They say "we were sealed in Manti." This grieves my heart. One high school student who lives here told me today that when they were studying Martin Luther in her class as student exclaimed with amazement, "Martin Luther believed that you can get to heaven by faith alone? "The teacher affirmed her incredulity by answering, "I know, right? "The basic concepts of Christianity were as foreign to them as Arabic. Of course, it's easier to approach the people of Utah. I didn't have to learn a new language, eat strange foods, or figure out what cultural triggers are insulting. I can talk sports or child-rearing with the folks here just as I do my neighbors. And that is my point. No Christian should assume that just because you share a common bond with a neighbor or acquaintance you should never assume they know even the basics about the Gospel. Even those who use Christian phrases may not know what the gospel truly is. I am very proud of these kids that took a week out of their summer to come to Utah and begin to reach these unreached people. They are amazing. I hope to lead many more trips out here during the year. If you or your church is interested, please contact me to discuss what's involved. It's the least we can do for those who are as desperately lost as those who live on the other side of the world. 1 "Definitions." JoshuaProject.net. The Joshua Project. Web. http://joshuaproject.net/help/definitions Accessed 6/28/2014. Last night on the streets of Manti, I had an interesting discussion with a man about his beliefs and the Book of Mormon. He was older, in his sixties, and he had been studying the book fervently. Born and raised in Utah, he came from a multi-generational family that was faithful to the LDS. He said that he had to read the book "hundreds of times" before he could truly understand it, but he now does and it drove him to some interesting conclusions. One of the most surprising admissions he made to me was that the later revelations of Joseph Smith were wrong and he was a false prophet! A statement like the one above strikes people as counter-intuitive, but I actually agree with the man. 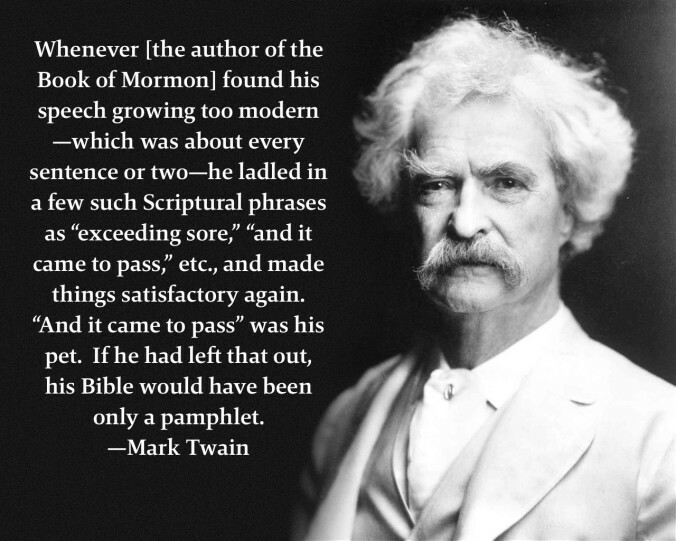 If you were to read the Book of Mormon alone, you would never arrive at Mormon doctrine. In fact many passages in the Book of Mormon directly contradict the later revelations that Smith taught, even regarding the nature of God Himself. Smith goes on to explain that "you have got to learn how to be gods yourselves" in order to have eternal life. The teaching of the exaltation of God from a man is in direct contradiction to Smith’s Book of Mormon, though. Moroni 8:18 declares, "For I know that God is not a partial God, neither a changeable being; but he is unchangeable from all eternity to all eternity. "3 Mormon 9:9, borrowing from the book of Hebrews reinforces the idea that God is changeless. "Do we not read that God is the same yesterday, today, and forever, and in him there is no variableness neither shadow of changing. "4 According to the Book of Mormon, then, Joseph Smith’s teaching that God was once a man is false. I believe Smith is a false teacher. The man with whom I was conversing did as well, however he still held to the Book of Mormon and claimed that Smith was called to be a translator, not a prophet or political leader. I think that someone who claims to be a prophet and is proven to be false would not be used of God to reveal his word. That’s pretty simple since the definition of a prophet is someone who reveals the word of God to the people. Smith is a false teacher, and none of his teachings, including the Book of Mormon should be trusted. 1. The Teachings of Lorenzo Snow. (Salt Lake City, UT: The Church of Jesus Christ of Latter-day Saints, 2012). 83. 2. Smith, Joseph, Jr. "The King Follett Sermon." Ensign Magazine. April 1971. Web. https://www.lds.org/ensign/1971/04/the-king-follett-sermon?lang=eng Accessed 27 June 2014. 3. Smith, Joseph. "The Book of Moroni." The Book of Mormon Online. (Salt Lake City, UT: Church of Jesus Christ of Latter-day Saints) Web. 2007. Accessed 27 June 2014. 4. Smith, Joseph. "The Book of Mormon." The Book of Mormon Online. (Salt Lake City, UT: Church of Jesus Christ of Latter-day Saints) Web. 2007. Accessed 27 June 2014. 5. Smith, Joseph, Jr. "The King Follett Sermon." Ibid. Later, when I was asking a few questions, I had said that I understood God and heaven differently than the LDS doctrine she had stated and I explained how the Bible promises that not just my family would be together in eternity, but that I would have a relationship with all the saints in Heaven, and we would be closer than even my family and I am now. This obviously caused some significant problems because shortly afterwards, I was warned by Mormon security that I am not allowed to share my testimony with the missionaries. Basically, they require visitors to just listen to missionaries talk about their faith; it should never go the other way. It seems that the Mormon church's use of testimonies in their services are a lot like that feedback loop. 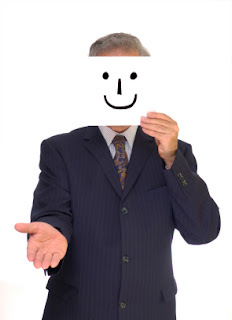 I've been a professional musician for over thirty years, so I know a little bit about feedback.Some people may not know the term feedback, but you are probably familiar with the concept. Feedback is that high-pitched squeal that gets really loud and hurts everyone's' ears. Sometimes it comes from a guitar but you more often hear it coming out of the PA. Feedback is caused when a signal amplifies itself. Singers will use wedge speakers on the floor to project their voices and the music back at them for a reference monitor. 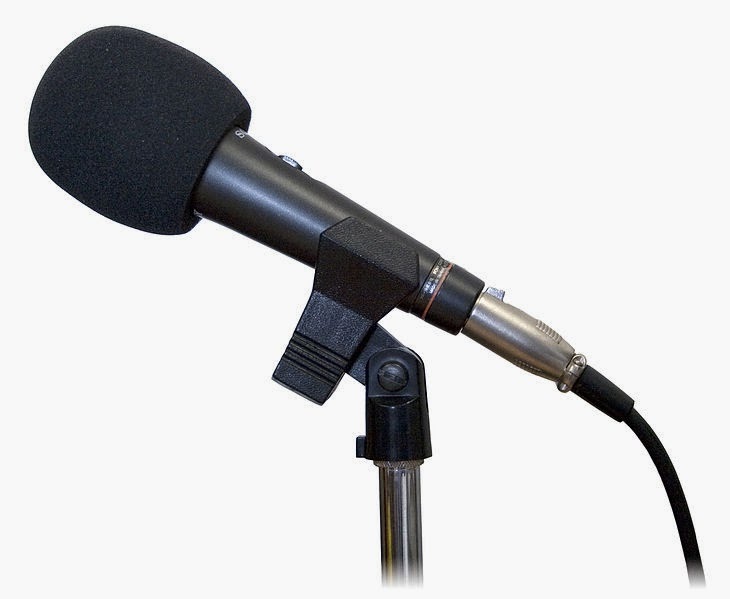 If the singer's microphone isn't positioned correctly, it will catch the monitor's sound output and send it back through the PA, amplifying it again. Of course, you can see where this will lead: as the monitor gets louder, the mic catches more signal and sends it back to the PA which then sends a louder signal back to the monitor and everything begins to increase exponentially until either the speaker blows out or someone's eardrums do! The Mormon use of testimony is a lot like a feedback loop. Good Mormons will stand up and share how they "know" that the Mormon doctrine is true because of the feelings they have. This truth-bearing isn't based on scholastic research. As the Encyclopedia of Mormonism explains, "Latter-day Saint missionaries, in particular, rely on testimony bearing, rather than on logic or artifice, to reach their listeners. "4 So testimony isn't about logic. But the result is that people hear other's unwavering devotion to Mormonism and they don't feel like they are good Mormons unless they have a testimony to offer as well.So, just as everyone's life looks a lot more perfect on Facebook than it is in reality, the Mormons' use of testimony simply makes doubt or questioning seem foolish or unholy. Testimonies simply amplify the one message the Mormon church wants people to hear: that it is beyond question. Ultimately, I believe this is one sign that Mormonism is a cult. When another person explaining his understanding of spiritual things is questioned by security because he dared do so on Temple grounds, it raises suspicion. When the security guard told me that we are not allowed to share our testimony, it revealed what the practice of testimony really is: to keep the faithful Mormons faithful and only hear the message the church wants. But, like that signal from the PA, you don't get truth from a feedback loop. Ultimately, you end up with a lot of noise that will hurt people. 1. "What is a 'testimony' that Mormons speak of?" Mormon.org. The Church of Jesus Christ of Latter-Day Saints. Web. http://www.mormon.org/faq/purpose-of-testimony. Accessed 6/26/2014. Why does Lehi disobey direct commandments of God? All Jeremiah references are taken from the Church of Jesus Christ of Latter-Day Saints King James Version (LDS KJV). Lehi is the first distinct LDS prophet and Nephi is his son, who takes the spiritual lead after Lehi's death. Nephi records his father's revelations in the first chapters of 1 Nephi in the Book of Mormon. "And it shall come to pass, that the nation and kingdom which will not serve the same Nebuchadnezzar the king of Babylon, and that will not put their neck under the yoke of the king of Babylon, that nation will I punish, saith the Lord, with the sword, and with the famine, and with the pestilence, until I have consumed them by his hand. Therefore hearken not ye to your prophets, nor to your diviners, nor to your dreamers, nor to your enchanters, nor to your sorcerers, which speak unto you, saying, Ye shall not serve the king of Babylon: For they prophesy a lie unto you, to remove you far from your land; and that I should drive you out, and ye should perish." This message continues on through the rest of the chapter. The Israelites are not the only things of God commanded to go to Babylon, but the vessels of the Lord's house are also. Jeremiah prophesied that Hananiah would die because he falsely prophesied that God would break Babylon's rule and return the vessels of the Lord back to Jerusalem and Hananiah dies later that year. Further doom is given to those that prophesy against Jeremiah's words, which are to go to Babylon and take up roots there (Shemaiah in Jeremiah 29:24-32). Lastly, God promises that he will return everyone that was scattered and captured by Babylon, back to the place from where they were dispersed, "And I will be found of you, saith the Lord: and I will turn away your captivity, and I will gather you from all the nations, and from all the places whither I have driven you, saith the Lord; and I will bring you again into the place whence I caused you to be carried away captive." (Jeremiah 29:14) So even if Nephi did receive a commandment to go to a promised land, he and the other Jews there would be gathered back from their original land. Lehi disobeys a direct commandment of God. What if the event dates are all off? That presents multiple concerns. Since there is a serious degree of evidence surrounding the accuracy of the traditional dates of the captivity, that undermines the historical authority of what Joseph Smith labeled the "…most correct of any book on earth…"
Why would Nephi, "having been taught somewhat in all the learning of [his] father," have been taught a different calendar or dating system? Even still, this still does not change that both of these refer to the exact same event, exile to Babylon, with the exact same consequences for not going, judgment. Even Nephi acknowledges that it was good Lehi did not stay long in Jerusalem while getting the bronze plates, lest he face destruction (1 Nephi 3:18). This aligns with the similar warnings Jeremiah gives to anyone in Jerusalem. If Lehi and/or Nephi was/were given different instructions than Jeremiah and other contemporary prophets, then why does he never speak with any of them to verify his visions? Even Paul does this in the New Testament. He not only receives direct revelation from Christ, but also validates this message with the other apostles on at least two different occasions. If we are to accept any words of Lehi, the first in the line of distinctly Mormon prophets, then we need to resolve why his behaviors and the behavior of his son Nephi (who was fully taught by Lehi in all spiritual matters) acted contrary to God's directives for all members of Israel. But, if no such resolution exists for Lehi and/or Nephi, then is it unreasonable to reject their prophecy? We are all familiar with dog lovers versus cat lovers, Coke versus Pepsi, Mac versus PC; people like to divide themselves by their preferences. However, there are some things that are divided not by preference, but by the facts of the matter. Whales and dolphins, for example, look like fish, live in water like fish and swim like fish. However, they are not fish but mammals. We know this because mammals have certain essential features that fish don't have. There is a nature to fish and a nature to mammals, and whales and dolphins have a mammalian nature. No matter their preference, their nature says "you are a mammal, not a fish." The nature of God, like the nature of mammals, is what defines God. 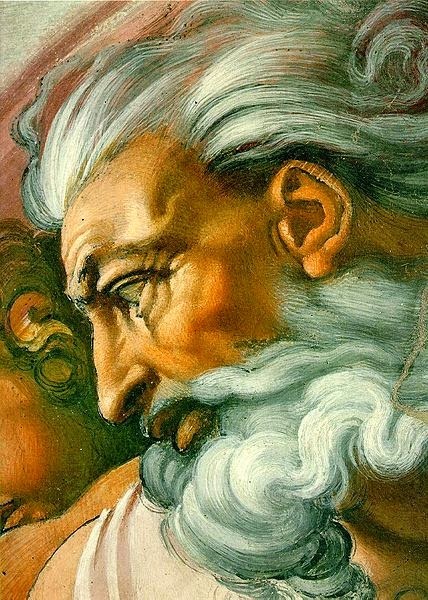 The Christian God has a certain nature; there are essential attributes that make the God of Christianity God. If one teaches that God has different attributes, you are no longer talking about the God of Christianity and therefore you no longer teaching Christianity. You are teaching something fundamentally different. In my last two posts, I've begun to explain some identifying characteristics of any religious movement that could be defined as a cult of Christianity. While the word cult immediately evokes mind control or armed compounds, it's more formal definition much more broad. As I've explained before, the word is used to express the idea of being seduced away from the historic Christian faith. That is really the third marker of cult of Christianity: it is any sect that claims to be Christian but teaches a denial of one or more of the essential doctrines that make Christianity what it is. The nature of God: Christianity defines God as one being in three persons. Jehovah's Witnesses teach that God is one person and Mormons claim that God is multiple beings. Christian Science also denies the Trinity, with Eddy writing "The theory of three persons in one God (that is, a personal Trinity or Tri-unity) suggests polytheism, rather than the one ever-present I ﻿ AM." The nature of Christ: Jehovah's Witnesses deny the deity of Jesus, claiming He's a created being. Mormons hold that Jesus was the physical offspring of Elohim and a spirit brother of all humans. In Christian Science, "Jesus Christ is not God, as Jesus himself declared, but is the Son of God." The nature of salvation: Salvation is wholly accomplished by Christ on the cross. However the Book of Mormon teaches that "it is by grace that we are saved, after all we can do." The Watchtower teaches that Jesus' death paid the ransom only for sin inherited from Adam, but believers' names won't be committed to the Book of Life until they pass the test of loyalty. Christian Science teaches ""One sacrifice, however great, is insufficient to pay the debt of sin. The atonement requires constant self-immolation on the sinner's part." Other essential doctrines include the nature of man, the Second coming, and the person and work of the Holy Spirit. These beliefs have provided the framework for Christianity since its very beginning. The early church fathers were very careful when teachings that contradicted these would be offered; they would ultimately censure the teachers as heretics. Heresy is another word that has been weakened in modern times, but it is a proper label for these modern movements that attempt to supplant the truth of Christian theology with their own. Heresy used to be a more serious charge as people understood that by changing any essential doctrine also changes the nature of the belief. It would be like claiming to be a fish but not having gills. For while these movements may look Christian on the outside, their nature shows they are not what they claim to be. Smith, Joseph, Jr. The Book of Mormon. Salt Lake City: The Church of Jesus Christ of Latter-day Saints, 1948. Print. 92. We are currently looking at three signs of a religious cult of Christianity– that is a religious sect claiming to be based on the teaching of Jesus but one that in reality promotes heretical doctrines. My last post talked about the fact that many of these cults have a charismatic leader who claims to have the "inside track" on God's truth. They claim that all of Christianity has been corrupted, mistaken, or duped by its hierarchy and only they can set things right again. Today, I'd like to look at the second sign of a cult—a new revelation from God that becomes the authoritative source for understanding Him and His word. This is a natural corollary to the first sign. Since these sects claim that historic Christianity has been duped, they need to provide their followers with some type of new filter or new revelation in order to "set things right" again. Sometimes, this appears as an entire new set of Scriptures. Joseph Smith offered his Book of Mormon as "another testament of Jesus Christ" Smith claimed it is "the most correct of any book on earth, and the keystone of our religion, and a man would get nearer to God by abiding by its precepts, than by any other book. "1 Along with the Doctrine and Covenants and Pearl of Great Price, Smith offered an entirely new set of scriptures to his followers. 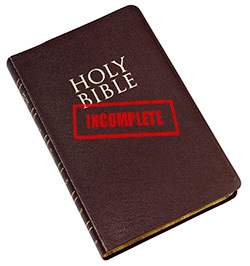 He claimed that the Bible text had been lost or changed,2 and he took it upon himself to provide a new translation, a project he did not finish before his death. If it's new, it's not true. Paul uses the strongest language possible to say that the idea of new doctrine, no matter the source, is not really something new, but something false! He says that such teachers should be accursed, using a term reserved for those to whom the most severe judgments apply. Ultimately, this concept of a new scripture or a new interpretive scheme is a big red flag that what these sects offer is not to be followed. Jesus said that scripture cannot be broken (John 10:35) and even the gates of hell could not prevail against His true church (Matt. 16:18). So why should we believe that His teachings have been lost? If the claims of these new revelators are true, then they contradict Jesus Himself! Peter tells us that "no prophecy of Scripture comes from someone's own interpretation, for no prophecy was ever produced by the will of man, but men spoke from God as they were carried along by the Holy Spirit." He then warns that "there will be false teachers among you, who will secretly bring in destructive heresies, even denying the Master who bought them, bringing upon themselves swift destruction" (2 Pet. 1:20-2:1). Cults deny Jesus by denying His word is sufficient in itself. Such denials do not lead to life but to the destruction of those who would hold them. 3. Martin, Walter. The Kingdom of the Cults. (Minneapolis:Bethany House Pub. 1997) 264. Since its inception, Christianity has had those individuals who sought to change its core teachings to fit some other model. Even during His sermon on the mount, Jesus warned, "Beware of false prophets, who come to you in sheep's clothing but inwardly are ravenous wolves. You will recognize them by their fruits (Matt.7:15)." Paul warned Timothy of false teachers in 1 Timothy 1:3 and Peter warned the churches about false prophets in 1 Peter 2, saying that their false teaching would "secretly bring in destructive heresies" (1 Pet. 2:1). Today, there are more groups than ever claiming to follow the real teachings of Jesus. Some claim that Jesus' teachings have been forgotten or corrupted and they have come to restore the true faith. Could this be? How can someone quickly and accurately identify false sects from true ones? Are there markers to identify these ‘ravenous wolves' who seek to devour the people? They have a charismatic leader who claims to have unique authority to speak on God's behalf. They offer some type of heretofore "secret" or exclusive revelation now being made public. They deny one or more of the essential doctrines (nature of God, nature of Christ, atonement, way of salvation, Christ's promised coming) that have always identified Christianity. Over the next three posts, I'd like to look at each one of these in turn and see how they compare to those religious movements that claim to be the true revelation of Jesus and the Christian faith. #1—A charismatic leader who claims to have unique authority to speak on God's behalf. The first sign of a false sect is each has a leader who teaches with a bold authority, claiming to have the authority to speak on God's behalf. Mormon founder Joseph Smith claimed to be a prophet from God and said that all Christian denominations were wrong and "all their creeds were an abomination in his sight." The Christian Science church says that its founder, Mary Baker Eddy, "saw herself as having discovered the spiritual science behind Jesus' healing works." In 1917, the Watchtower magazine claimed that Charles Taze Russell, founder of the Jehovah's Witnesses movement, was the "faithful and discreet slave" that is spoken of in Jesus' parable in Matthew 24. The Watchtower organization continues to claim only they fulfill this role even to this day. The idea of God revealing some new doctrine to a single individual is antithetical to the New Testament. Paul warns Timothy of this sign in 1 Timothy 1:6-7 when he writes, "Certain persons, by swerving from these, have wandered away into vain discussion, desiring to be teachers of the law, without understanding either what they are saying or the things about which they make confident assertions ." Notice how Paul describes these leaders as making confident assertions, but they really have no understanding. In his first epistle, John writes, "That which was from the beginning, which we have heard, which we have seen with our eyes… that which we have seen and heard we declare to you, that you also may have fellowship with us; and truly our fellowship is with the Father and with His Son Jesus Christ. And these things we write to you that your joy may be full." Here, John says that he and the other writers of the New Testament were reporting eyewitness events. John and Matthew were eyewitnesses themselves while Mark and Luke reported the eyewitness testimony of others. Paul claims to get his instruction from Jesus directly also (Gal. 1:6) and his writings are confirmed as authoritative by Peter (2 Pet. 3:15-16). Jesus said the Holy Spirit will come upon all the apostles so they can authoritatively teach on Jesus' behalf. Even when matters of discernment or controversy come, we never see only one man proclaim a new teaching from God, but the apostles gather together, as in Acts 15, to discuss the matter and bring forth a full consensus. The sign of one man claiming some unique revelation from God heretofore undiscovered is a clear hallmark of one who doesn't have the truth. The believers in Galatia fell for such a charismatic speaker, an action that made Paul write to them using the strongest possible language: "As we have said before, so now I say again: If anyone is preaching to you a gospel contrary to the one you received, let him be accursed" (Gal 1:9). The essentials of Christianity are well-established. Anyone, no matter how charming or persuasive, who asks you to believe something different is distorting the teachings of the Bible and is leading others to death rather than to eternal life. Last week, I had the privilege to lead a group of 34 students to Salt Lake City, Utah for an Apologetics Missions Trip. These trips are designed to help students interact with those who don’t hold to their religious views, to ground them in the theological truths of the Bible, and to teach them how to witness more effectively. It’s one thing to read a book or listen to a lecture on witnessing to the cults; it’s a far different thing to take it out of the classroom and actually do it. One destination on our trip is the Temple Square in Salt Lake. This is the focal point of the LDS faith, with the Temple being the most iconic element of Mormonism. 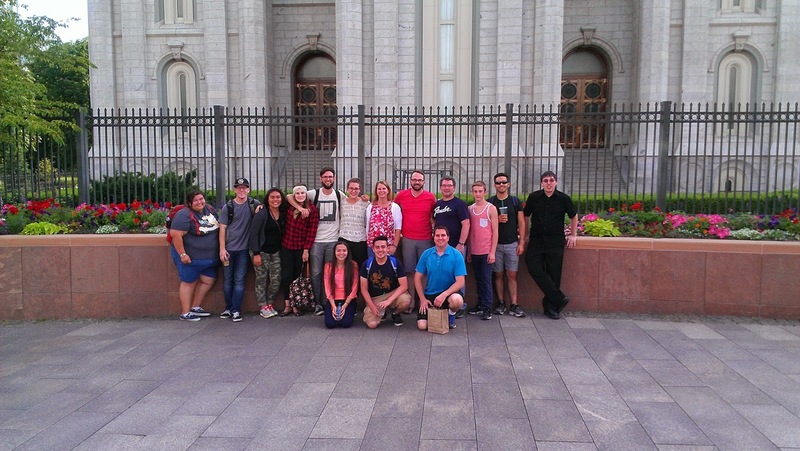 When we arrived at Temple Square, we had the students break into groups of two or three and then disperse to discuss beliefs with the Mormon Missionaries who are all too eager to engage visitors. In my time, a friend and I were able to engage with two different sets of Mormon Sisters – women in their early twenties who are on their mission, representing the LDS faith. The Sisters showed us the various buildings (the Tabernacle, Joseph Smith memorial, Church History Museum, and such) and along the way we began talking about Mormonism. I responded, “Yes, I have read the Book of Mormon, and I have prayed. However God revealed to me quite clearly that this was not His word. So, what do we do now?” At this, the missionaries were a bit taken aback. They suggested that I must not have prayed sincerely enough. I countered with an analogy. “Look, suppose I was a house builder with 10 years of experience. I may look down on that two by four and say, ‘That’s a 92-1/4” stud. My experience gives me the ability to eyeball those and tell.’ You may come up and say, ‘Well, I have 10 years of experience, too! I can eyeball that board and tell you it’s a full eight feet long!’ We each have had an experience, and we each believe sincerely that we’re right. But out experiences are in contradiction to one another. How do we solve the issue?” The answer is obvious, of course. 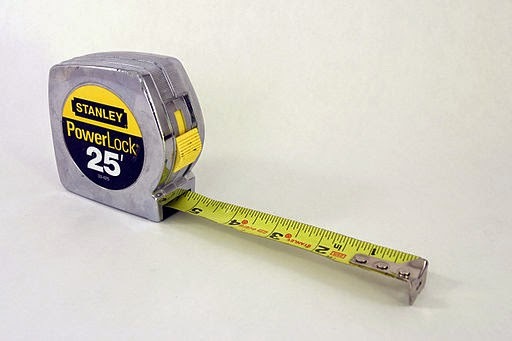 You measure the board! We appeal to an objective standard. You can place the board against an eight foot wall being framed and if it fits within the opening, it is 92-1/4” and if it is the same as the height of the entire wall, it’s a full 96”. This appeal to an objective standard is common-sensical and is how Mormons would settle any other question – except the question of the Book of Mormon. The personal experience in proving it to be true trumps everything, including archaeological evidence (there are no traces of any of the civilizations that the Book of Mormonism mentions1), the factual evidence (The Book of Abraham has been proven to be the Egyptian book of the dead2), DNA evidence (the American Natives are not Semitic in origin3), and the contradictory nature of Joseph Smith’s teachings when compared to the Bible. In my discussion, the missionaries simply refused to acknowledge my point. “But you must pray!” they told me. “The Holy Ghost is the ultimate authority!” So, they basically said that their personal experience trumps all, even the facts when they are presented. I again asked how we can reconcile this stand-off. They had no further answer and bit me good-bye. This to me is sad. These girls have so much of themselves invested into their belief system, that they cannot even make room for admitting there is more than one way to find the truth! I’ll keep praying for them. I also hope that we as Christians don’t fall into that same trap. 1 Peter 3:15 says we’d better be able to give reasons for why we believe as we do. To do anything else would result in building a house of faith where the walls are eventually going to collapse.